Most companies have come to rely on the USPS National Change of Address service as a tool for identifying movers and updating address information prior to mailing. While this works most of the time, the problem is this: the USPS relies on postal customers filing change of address forms with the postal service when they move. Increasingly, however, not all movers fill out this form, meaning NCOA alone cannot provide all new address information. NCOA is the first step in this process, followed by PCOA. Records that do not match in the first step (NCOA) are automatically routed to the second step (PCOA), which goes through 10 years' worth of change of address data. It's a proven technique that works. For a complete change of address solution, use our Proprietary Change of Address service combined with NCOA. By using the combination of NCOA + PCOA, you will identify movers and obtain new address information prior to mailing. Typical PCOA lift is 10-20% over NCOA. PCOA offers unmatched potential to update your addresses as much as possible. 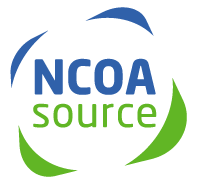 NCOAsource partners its PCOA processing with InfoUSA, combining highly accurate matching with dual-sourced confirmation, you are now able to achieve maximum matching potential. Privacy, privacy, privacy: Our data privacy is second to none. Simple:We work hard to make our users happy. And pricing is an important part of this. We're known as an excellent information provider because we treat our users as we like to be treated. Fundamentally, this means providing outstanding processing while maintaining the lowest pricing possible. It really is that simple. Oh, and no matter if you're a single-time user with a small list, or daily user with large volume, you'll find the same great wholesale pricing available to everyone. And there are never, ever, extra charges.